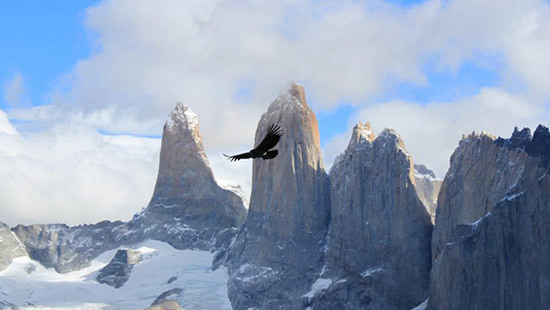 The trip from El Calafate to National Park Torres del Paine takes 3,5 hs. Once in the park, you will be able to combine rides in vehicule and hikes, as there are many roads that go along the park and hundreds of hiking paths from one side to another. As we organize this excursion in small groups we can adapt the itinerary and hikes depending on the profile of the passengers, choosing the paths that fit better. By default, the level of difficulty of the activities in our programs is low, having the chance to change it for a higher level is the group asks for it. Onboard of the vehicules, you will go to strategics places from where we´ll start the hikes that will allow you to get to the viewpoints where you will have most beautiful sights of the park. Around noon, we will offer you a picnic at the mountain. In the afternoon, where ever the day finds us, we´ll offer you an afternoon snack and coffee. 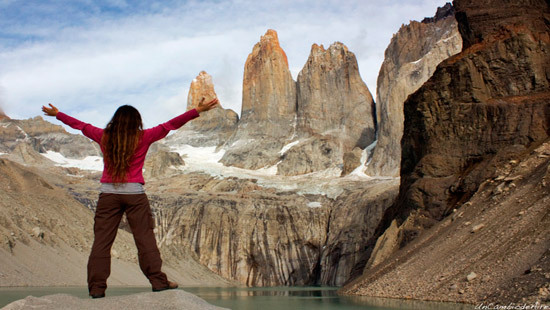 Among the different places and viewpoints, you will be able to see: Sarmiento de Gamboa Lake viewpoint, Saltos del Rio Paine (walking down beside the river 30’), Cerro Almirante Nieto / Cuernos del Paine – superior viewpoint, Laguna Amarga entrance: optional trekking by the Fauna’s footpath to the Sarmiento entrance 1.30 h, Salto Grande viewpoint (Big Fall), Viewpoint Nordenskjold Lake de los Cuernos del Paine 2 hs Trek, Pehoe Lake. The places and viewpoints that will finally be included depend on the weather conditions, the physical condition of the group, available time, the development of the excursion is left to the discretion of the guide tour. 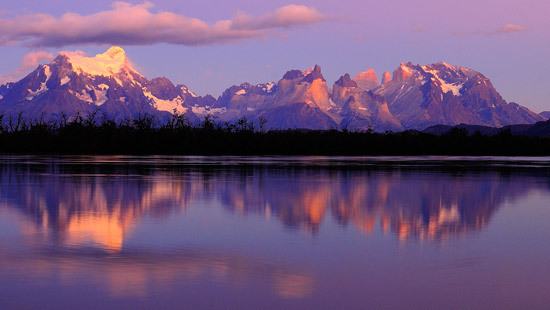 This full day tour to Las Torres del Paine can be taken in Regular (group tour) from October to March or in private service all the year long. This is a real full day tour because it starts in Calafate at 7 am and it ends again in Calafate at 11 Pm, you will be travelling from Calafate to Torres del Paine National Park which is located in the Chilean Patagonia by bus, more and less you will delay 4 hours to go and 4 hours to come back. This tour can be tiring for senior people or children. Normally this tour has daily departures all year long but in winter we may not have enough participants for group tours and the service can be booked only in Private Services. 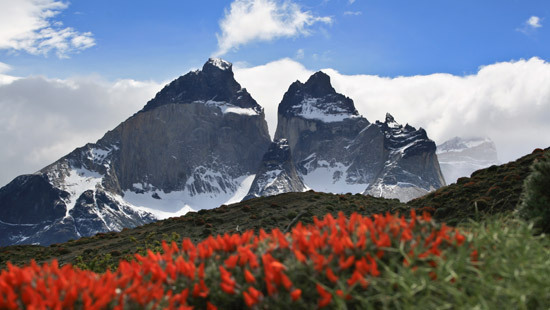 The main attraction during this tour is the National Park Torres del Paine that has got fauna and flora that will impact on your memory. 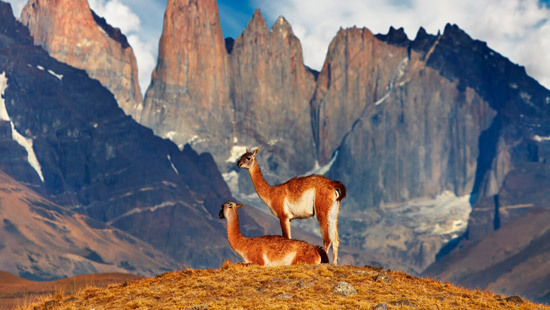 In the park you will find the world famous Torres del Paine Horns of Paine mountains rising vertically from the plain forming a very particular landscape. Scattered among the peaks you will be able to see lakes originating glaciers. 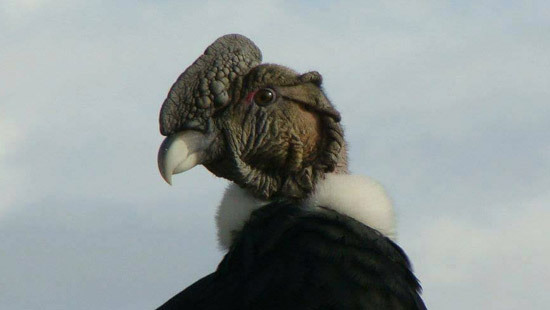 There is in addition rich fauna of pumas, guanacos, foxes, condors, wild geese, rheas and black-necked swans and many other species that inhabit the region. Lush forests of trees with their characteristic "beard" give the landscape a magical suggestion. The National Park covers an area of 181,000 hectares. The Vehicles have roads and for people walking there are hiking trails. It has 3 Lodges, administrative headquarters and seven guard located in various areas of the park. The closet town to this National Park is Puerto Natales which is a commune of 18,000 inhabitants. The city is within the continent and simultaneously connected to the sea through canals. Puerto Natales is a bustling town, with tourist atmosphere and varied range of hotel services companies, Restaurants and excursions.